Amelogenesis imperfecta (AI) is a rare hereditary disorder affecting the quality and quantity of the tooth enamel. The purpose of this study was to identify the genetic etiology of hypoplastic AI families based on the candidate gene approach. We recruited three Turkish families with hypoplastic AI and performed a candidate gene screening based on the characteristic clinical feature to find the pathogenic genetic etiology. The candidate gene sequencing of the LAMB3 gene for family 1 revealed a heterozygous nonsense mutation in the last exon [c.3431C > A, p.(Ser1144*)]. FAM20A gene sequencing for families 2 and 3 identified a homozygous deletion [c.34_35delCT, p.(Leu12Alafs*67)] and a homozygous deletion-insertion (c.1109 + 3_1109 + 7delinsTGGTC) mutation, respectively. The candidate gene approach can be successfully used to identify the genetic etiology of the AI in some cases with characteristic clinical features. Identification of the genetic etiology of the AI will help both the family members and dentist understand the nature of the disorder. Characteristic clinical feature can suggest possible genetic causes. The online version of this article ( https://doi.org/10.1007/s00784-018-2577-9) contains supplementary material, which is available to authorized users. We thank the participants in this study for their cooperation. This work was supported by grants by the National Research Foundation of Korea (NRF) grant funded by the Korea government (NRF-2017R1A2A2A05069281) and NIDCR/NIH grant DE015846. Informed consent was obtained from all individual participants included in the study. 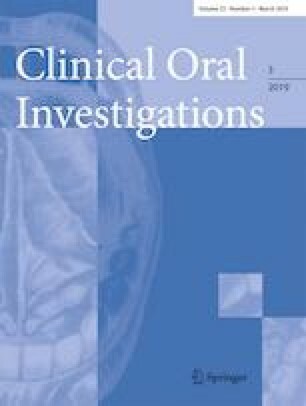 The study protocol was reviewed and approved by the Institutional Review Board at Seoul National University Dental Hospital (CRI05003G) and at the University of Istanbul (IRB00009905).